As Britain goes through the most significant shrinking of the social safety net since World War II. 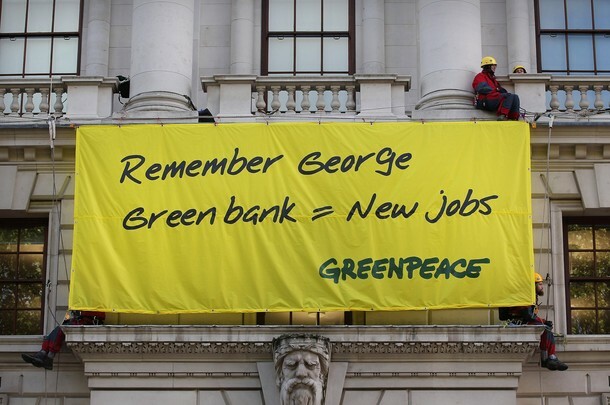 The moral compass of eco- courage known as Greenpeace has decided to spring into action. This time they are protesting the need for a green banking system in Britain. Of course the irony of many British people currently suffering in eco-poverty shouldn’t be lost on them, but I’m not keeping my hopes up. Greenpeace as Ezra Levant has outlines in his new book,is very particular about where they decide to apply their principles.